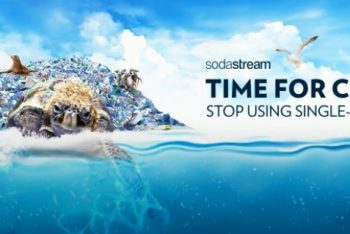 At SodaStream we’re on a mission to transform the way the world drinks by making it easy to drink healthy, Great British sparkling water from the tap, while protecting the environment by eliminating the need for the 35 million plastic bottles used every day in the UK. Recent Government steps to reduce the blight of plastic pollution in our rivers and seas goes some way towards tackling the problem, but we don’t need to wait until 2042 to have a real impact. 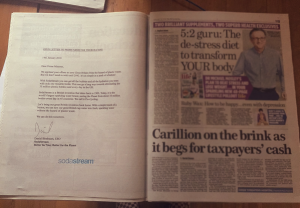 That’s why we published an open letter to PM Theresa May in the Daily Mail on Sunday, Jan 14, applauding her promise to end the plastic scourge and reminding her that SodaStream, a British Invention dating back to 1903 and now the largest sparkling water brand in the world, is a logical part of an immediate solution. 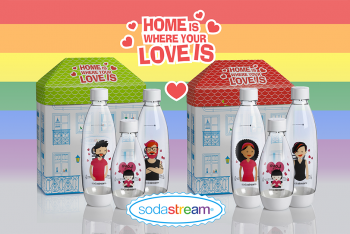 One re-useable SodaStream bottle can make thousands of litres of fresh sparkling water from the tap, eliminating thousands of single use plastic bottles every year.